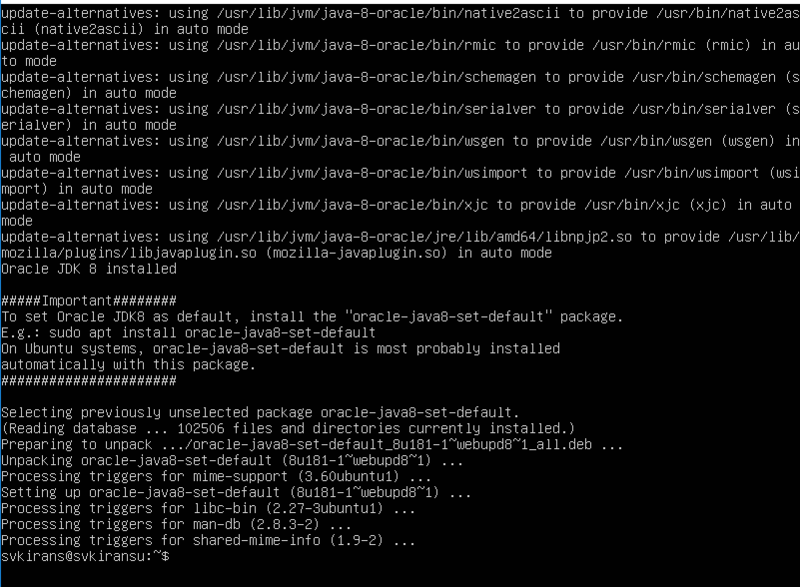 First check if Java is already installed on the system. 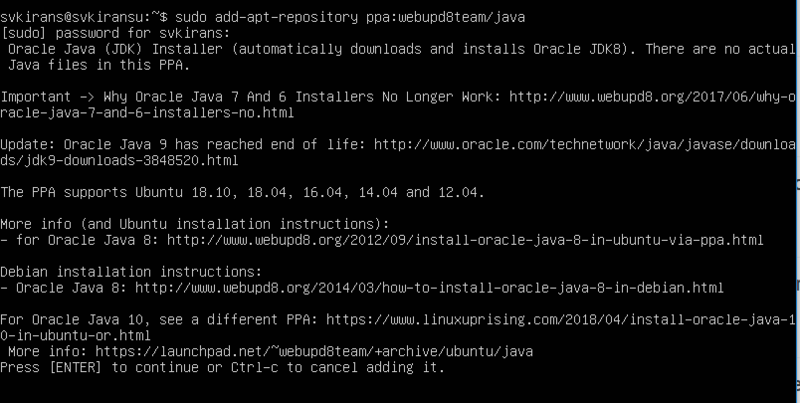 Run the below command to check if Java is already installed on the system. If java is not installed on the system, you should see message similar to below. If the java is already installed on the system, then it should display the version of java installed on the system. 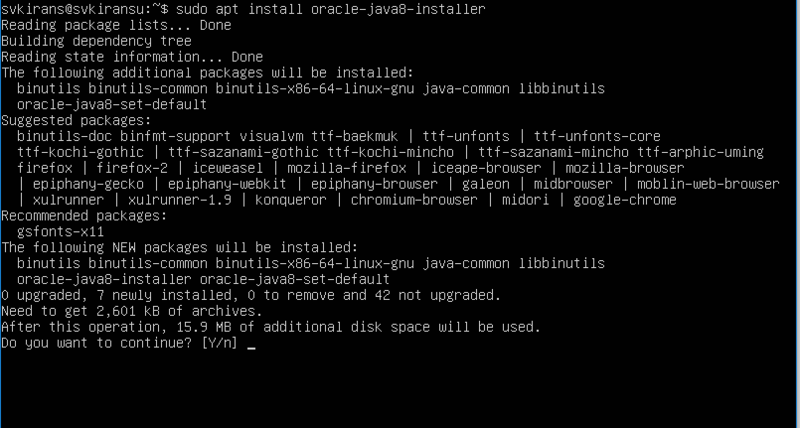 If java is not installed on the system, then run the below command to start java installation. Press [ENTER] to add the java repository information to the system. Once java repository information is added, run the below command to update the package lists since java package is added to the list earlier. 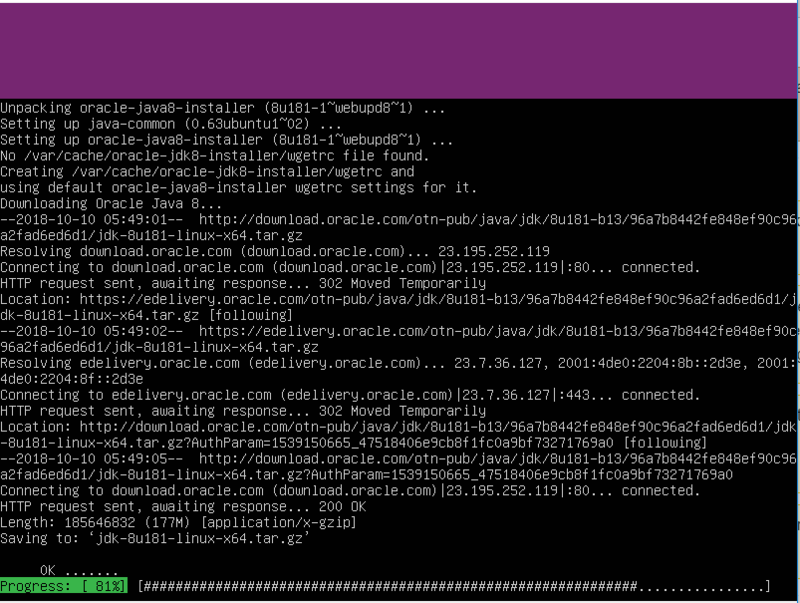 Run the below command to download and install java 8. Enter ‘Y’ when the installer asks for confirmation to start java installation. 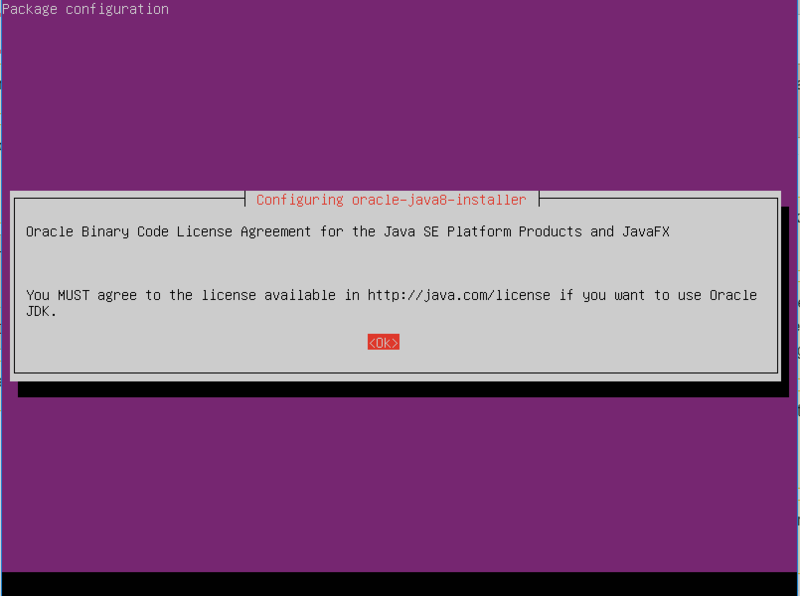 Select ‘Ok’, when the installer asks for accepting the java license. 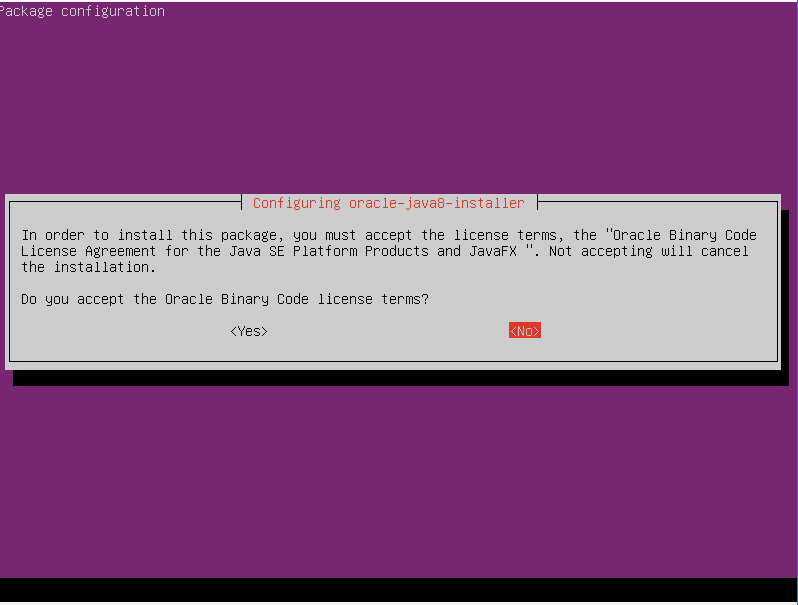 Select ‘Yes’ when the installer asks for accepting the Oracle license. The download and installation of Java will take some time. Run the below command to set the java version we have installed as the default version. 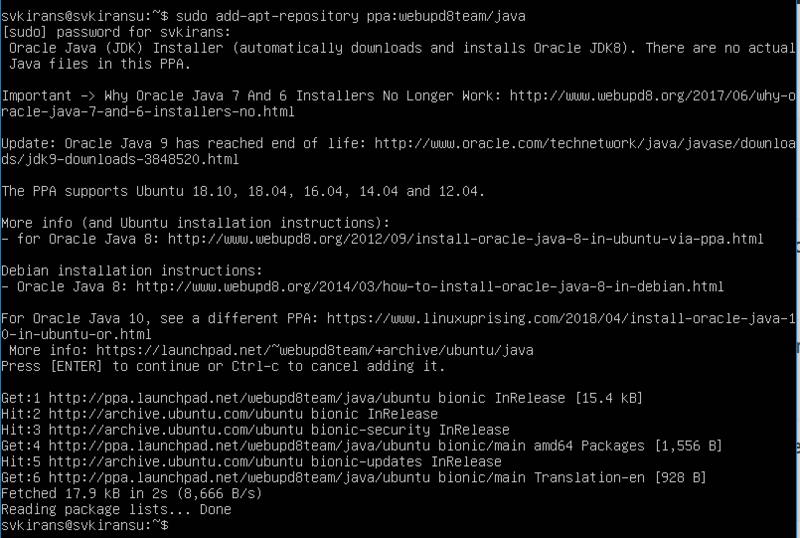 Once the installation of java is complete, run the java version command again to check the java version. java 8 (including JDK) is installed on Ubuntu and can be used for developing or running java applications.